I presume that you were up late last night taking in the news, so we’ll be brief this morning. It doesn’t seem like the most perfect time to crack lengthy accounting jokes about the assets of the wealthy or the aspiring nouveau riche. Today we’re putting Theranos into context using one of our favorite metrics, and keeping tabs on what’s next for exiting unicorns. Breaking last night was news that the CEO of blood-testing startup Theranos has been banned from operating a lab for two years. The company expressed disappointment at the decision, but noted in a statement that it is working to meet the requirements of its regulatory universe. 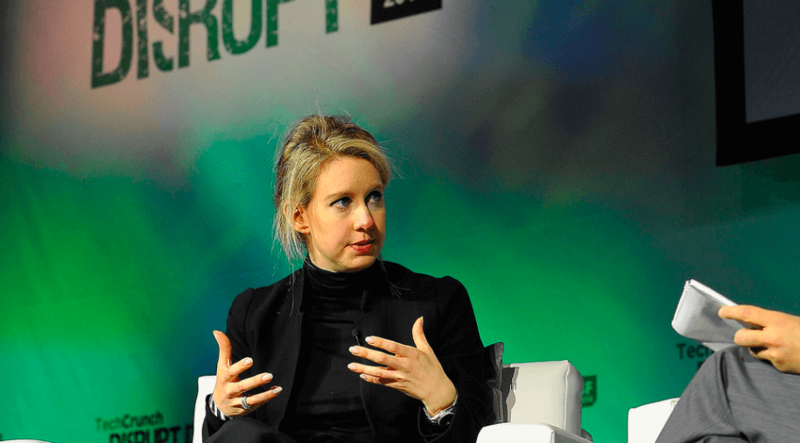 Theranos has had enough negative things written about it for now — and doubt you or I could add something interesting to the mix — so we’ll avoid a rehash of its operational issues. Financially, however, we should take a look. We can do so by looking at how a different sort of firm would manage Theranos’ $9 billion valuation. To do that, we turn to our beleaguered SaaS friends for a benchmark. Mattermark has tracked the changing value of recurring revenue twice this year by observing public-market ratios. As reported previously, the valuation dollar value of recurring revenue fell to a low of around 3.3x this year. That figure had risen to 3.7x the last time that we checked. You can see where the arithmetic is going. At a $9 billion valuation, if Theranos was a SaaS company it would need around $2.4 billion in yearly recurring revenue to meet its valuation, applying current market norms. If the revenue that Theranos generates should be worth more, or less on a per-dollar basis than recurring SaaS top line is up to you, but the sheer volume of revenue required to warrant its top-tier valuation remains. The gap between the revenue of Theranos and what it would need to generate as a public company to keep its valuation flat is the effusion of investor confidence in its expected growth, and so forth. Private companies are often valued on more than their current revenue1, and that’s just fine. But, if Box is going to push its quarterly revenue over the $100 million mark in the next few quarters while reaching cash flow breakeven and commanding a sub-$1.5 billion valuation, there are discrepancies in the market concerning what is worth what and why. Line’s IPO should kick off next week, marking the first US-market tech IPO of the third quarter2. If it is followed by Talend, or Nutanix remains to be seen. Line’s offering is notable for the scale of the money it hopes to raise, its aggressive pricing, and its timing. Line may raise more than $1 billion in the offering. The company raised its pricing guidance prior to setting its final per-share cost. And, Line’s IPO comes following Brexit and the ensuing global financial uncertainty. It also follows Twilio’s successful US offering. It will be interesting to see what impact the IPO has on Twitter, a company that has seen its value fall as its user growth stagnated. Line suffers from a similar situation. If investors welcome Line and continue to shun Twitter, it may indicate that investors are worried about Twitter for other reasons, undercutting the currently popular thesis that Twitter’s core valuation issue is user growth. And, that could bolster the implied valuation of private social companies. If Line struggles, you can flip the implications. Hug someone you love and have a long lunch. It may help. Not all vanity metrics are sins. Just your vanity metrics. Repent, sinner! Line shares will be sold on Japanese and American markets during the IPO.